Golf season is happening around us, and if you run or work at a golf course you probably understand the need for an open line of communication. On golf courses, staff is often spread over large areas, so face-to-face communication is not an option. Two way radios for golf courses allow staff to communicate instantly to ensure your course is running smoothly, but these radios also help increase efficiency and allow your staff and course to provide better satisfaction to your players. Whether used by grounds keepers, wait staff, caddies, teachers, or even restaurant staff, two way radios for golf courses have every aspect of your course covered. UHF two way radios are typically the most popular type of radio for use on golf courses, as they work great inside and out. However, a VHF two way radio coverers a much larger outdoor range, and provides clarity outdoors. Using a VHF two way on a golf course can keep you in touch with your staff, but can also be used by players. 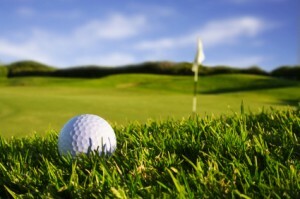 Keep in touch with your golf buddy, and plan to meet up later when he takes too long at a hole. Cell phones are expensive and unreliable, especially in dead zones. A two way radio for golf courses will keep you in touch with your workers, buddies and help make a great time even greater. 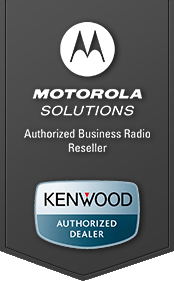 The Motorola RDV5100 is an excellent radio for use on a golf course, and will provide you with exactly what you need to build a stronger line of communication among your staff and players.